Before little Miss S was born I had no idea Earth had a day… Then she was born on a 22nd April and my husband found out that day was Earth Day, isn’t it fun? She loves to be outside, be barefoot, all the plants and flowers and animals!! I should have an animal shelter and she would be the happiest girl in the world! So when some blogger friends told me about a blog hop on Earth day crafts I knew we would have fun. Is it something better for that day than to upcycle something and prevent if from end up in the garbage? 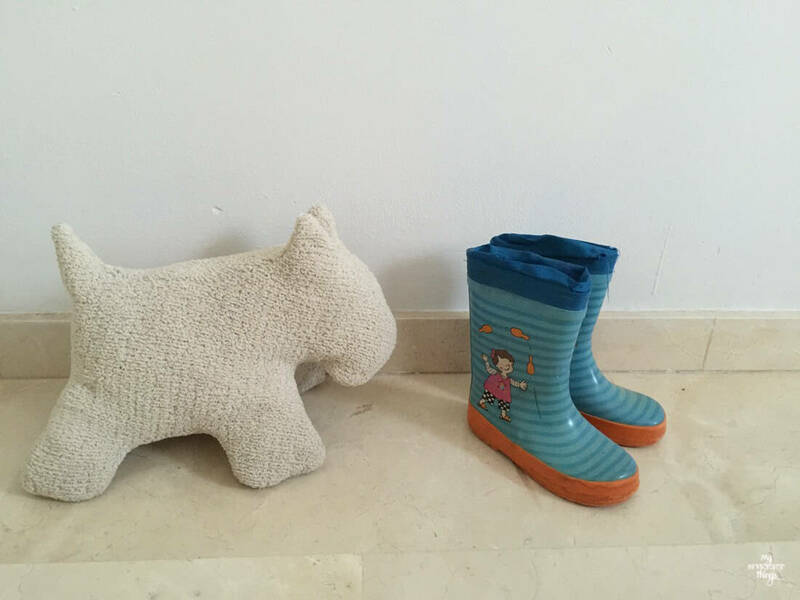 An old pair of rain boots little Miss S loved but she can’t wear because of: a) her feet are bigger b) the boots have cracks and they are not waterproof anymore. I explained her my idea and she started painting them with my homemade chalk paint recipe. One coat was enough and we let them dry. The next thing I did was taking some spray paint and painted them. Pink… of course!! Both boots. 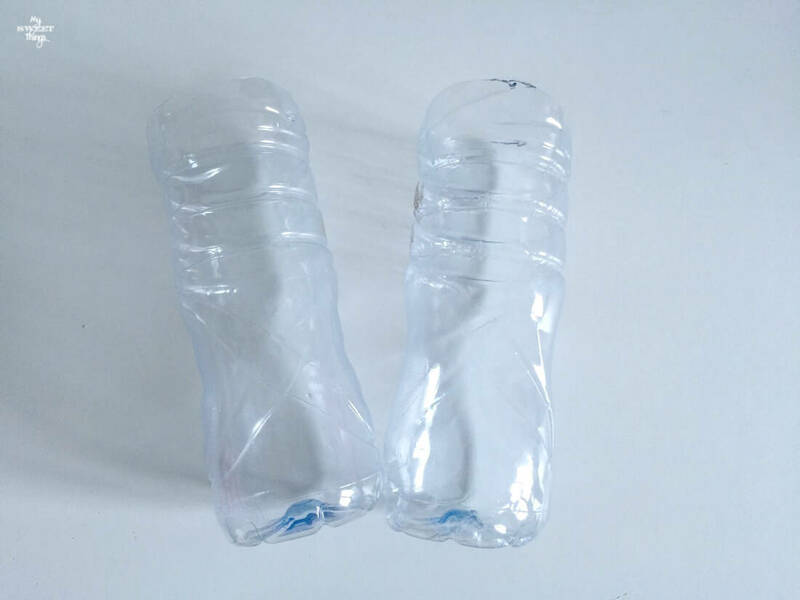 While they were drying I took two water bottles and cut them to fit inside the boots. This way if some day I plan to have real plants inside them I can fill the bottles with water. The last thing was to hot glue some ribbon around the boot to make it even prettier. Don’t forget to see what the other ladies have done for this special Earth day projects. This entry was posted in Before & After and tagged Before & After, Boots, Chalk Paint, DIY, Kids, Recycle. Too too cute Pili. When I saw that pink I went crazy!! Love this repurpose and upcycle!! Happy Birthday to miss S!! Hi, Moira! 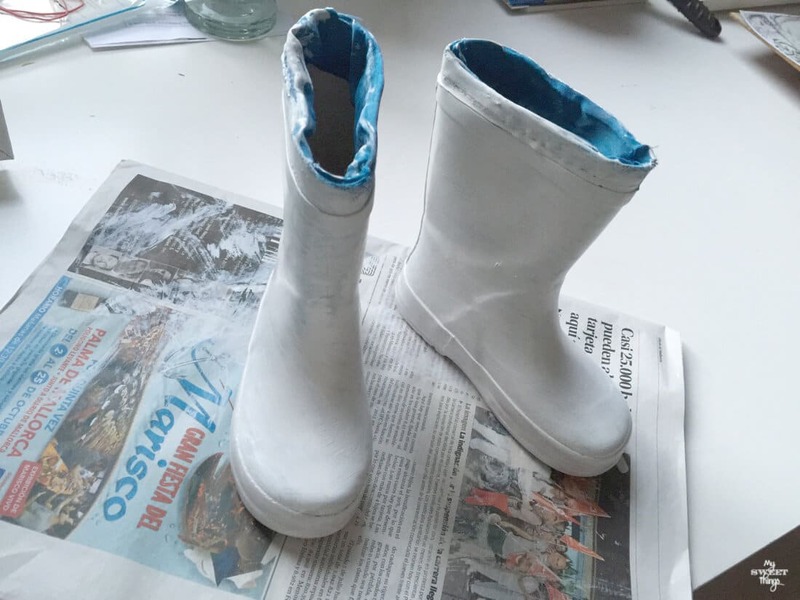 She is happy to have been able to upcycle the old boots into something different, and now she shows her friends when they come home. Many thanks for stopping by, Marci!! Have a wonderful week! Pili, Happy Birthday to Miss S!!! What a fun day for her to be born on!! 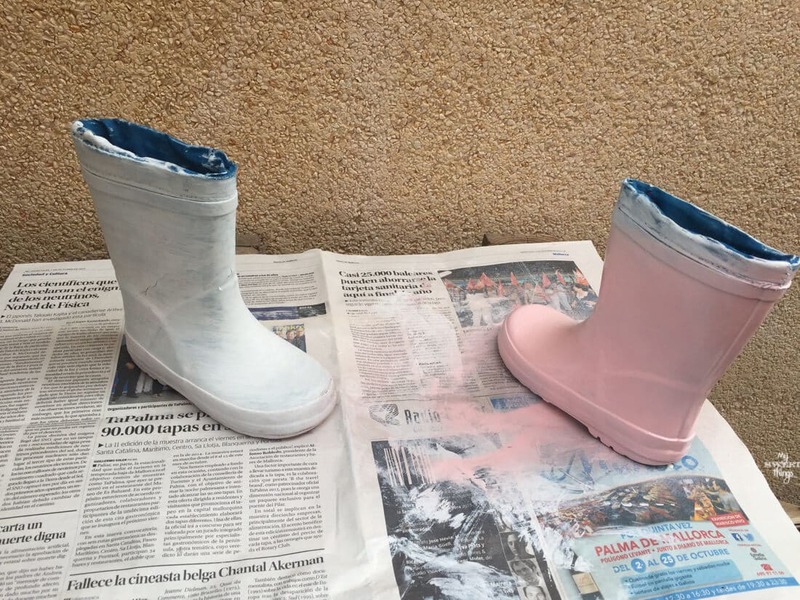 These upcycled rain boots are too cute!! Love that pink color and those flowers are so pretty. This is a beautiful way to repurpose the old boots into something new. 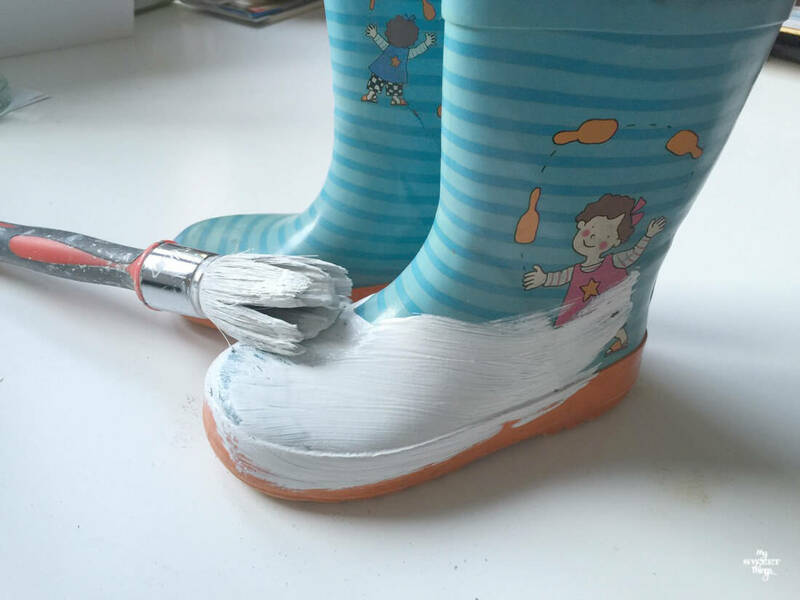 I’m definitely doing this with my daughters’ rain boots. Thank you so much, Keri!! She says she’s big because she’s 7 lol. Too sweet! Feliz Cumple to your little one Pili! These boots are super cute! A great repurpose and also lovely to keep something from when the kids were smaller! Thanks, Katrin!! They grow too fast! I don’t think we’ll keep the boots as a memory because they are too bulky, but I do keep little special things from them, so when they are older will be happy to see them. these rain boots are so cute! love the upcycle and so glad it’s yard sale season so i can find a pair of my own! Many thanks, Millie!! I didn’t know yard sales had a season! Is it because of the cold weather? 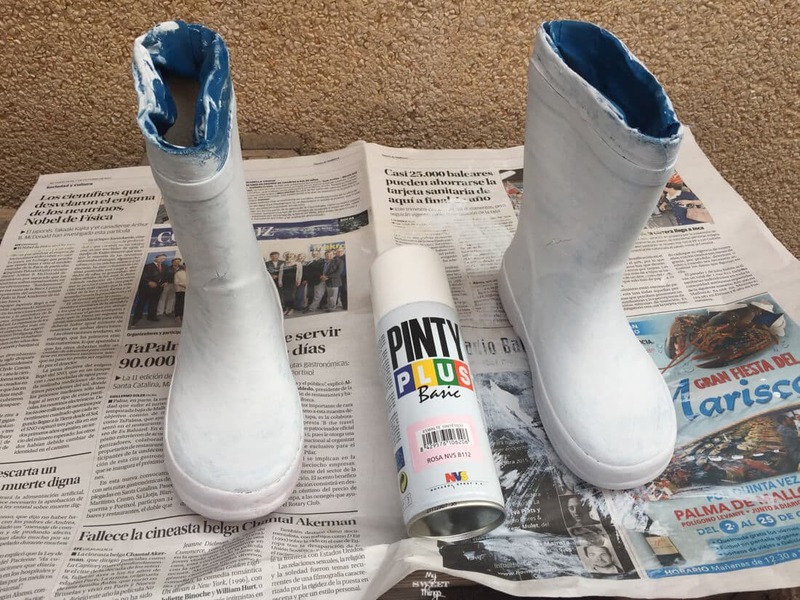 What a lovely idea for rain boots and upcycling Pili. So creative. Thank you so much, Sue! Not a lot of rain here, so it was the best use I could think of. Pili, this is such a great idea! I have a pair of rain boots that I could do this with. Thanks for sharing your inspiring upcycle project! Hi, T’onna! 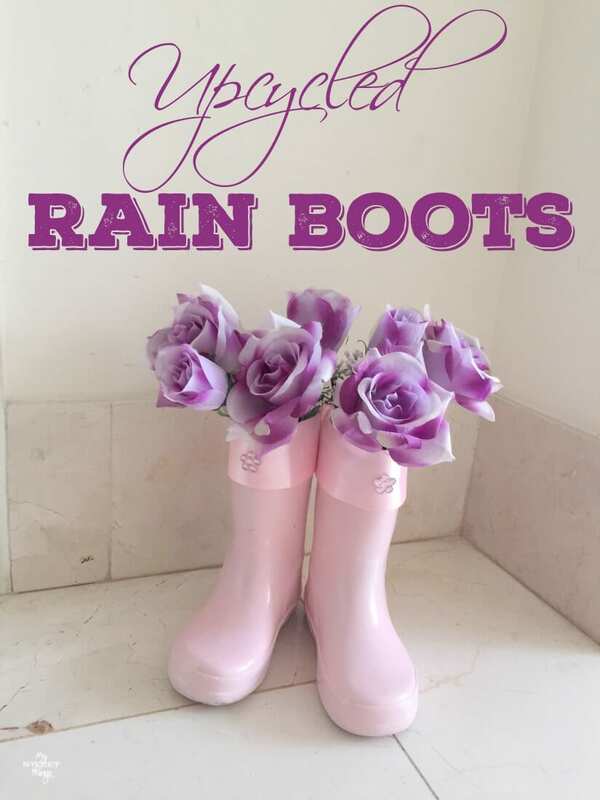 It is a cute solution for all those rain boots that won’t fit any more. This is such a clever idea. I would love to make this for my front porch. Thanks! 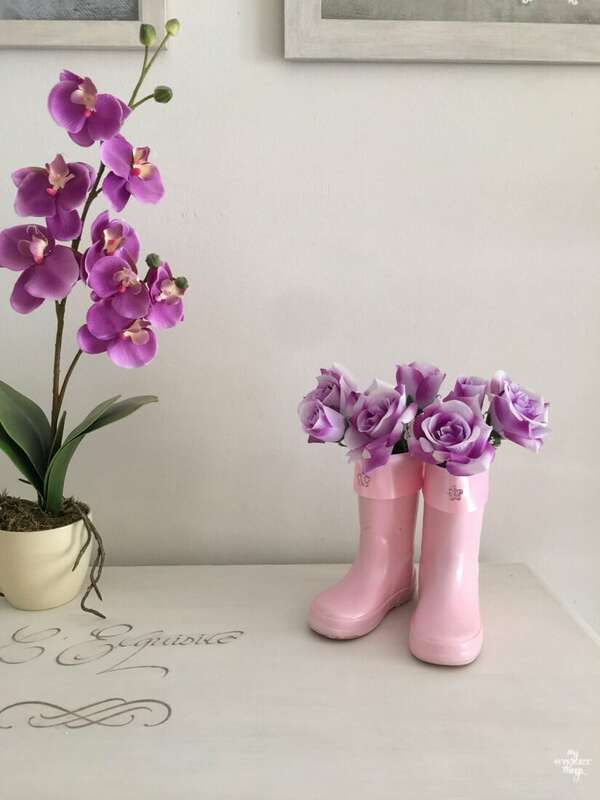 I would love to do the same with bigger rain boots and place them in the garden with real flowers inside. I am sure in your front porch would look great too, Sherry! I saw this on the linking party and it is the cutest craft! Well done! Thank you so much, Katerina!! Glad you like them too! what an absolutely darling idea. So very cute! and a great recycle idea for sure. Enjoy your new flower vessel. These are so incredibly cute. Lovely repurpose!! Hope your little one had a beautiful birthday. Thanks, Michelle! She had a wonderful birthday, she says she is a big girl now.